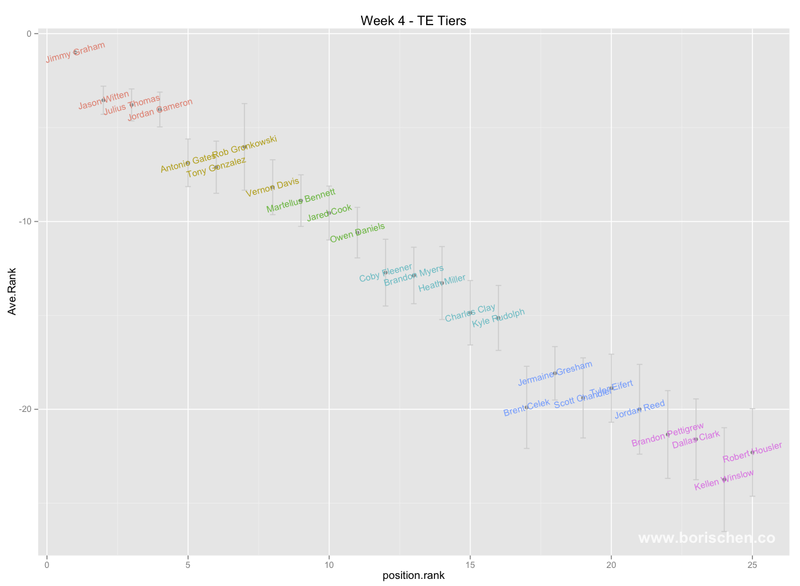 Gronkowski should be back and if he is, he's set up in tier 1 in his first week back. Jimmy Graham continues to eat yardage and touchdowns for breakfast. 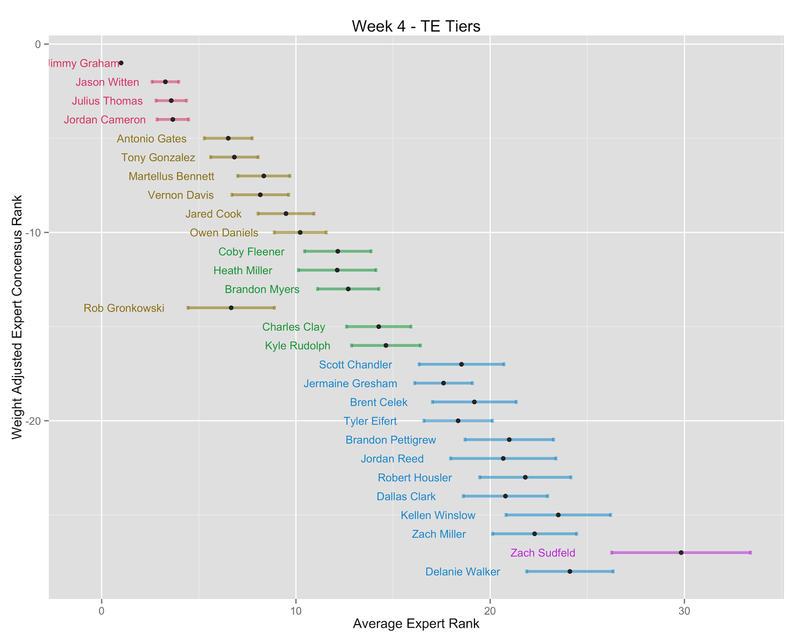 Fleener, Miller, and Clay have crawled their way up to tier 4. Gonzalez remains in tier 1 despite a slow start this year. If he continues to not produce I can't imagine he will stay at this level. 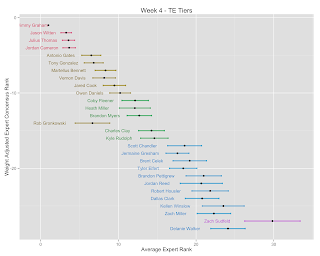 edit: The rest of the experts have weighed in and Gonzalez is out of tier 1 for this week. Interestingly, Gates has shot up to the top of tier 2 as part of a revived San Diego offense, despite being knocked repeated by many experts. 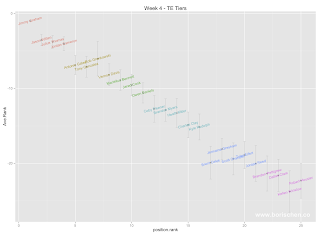 Celek tanks to tier 5 after two bad weeks for both his fantasy line and the Eagles. edit: Gronk is a completely question mark right now. I advise checking rotoworld on Sunday.